The Invisalign iTero Element Scanner is a state-of-the-art digital impression system that eliminates the need for messy putty in your mouth. With our iTero Digital dental impressions in Middlesex we can digitally capture a detailed 3D model of your teeth and gums. Not only is this process far more comfortable than the old putty based impressions (not to mention messy alginate impression materials), but it's faster and can offer a superior clinical endpoint. The scanner Takes a Series of high resolution photographs which are then stitched together to give us a 3D model of your mouth. We can then use this scan with all Invisalign services including the Invisalign Outcome Simulator to show you what your new smile might look like. How does this help with a sensitive gag reflex? A hypersensitive gag reflex is caused by an unpleasant pharyngeal sensation on the soft tissue towards the back of the mouth and down the throat. It is a natural spasm or reflex contraction to remove a foreign object. However, this reflex can be triggered by things like a dental impressions. This new type of dental impression is great for people that have a fear of dental impressions. A traditional impression has the tendency to get quite close to the sensitive pharyngeal area causing the gag reflex to be triggered. 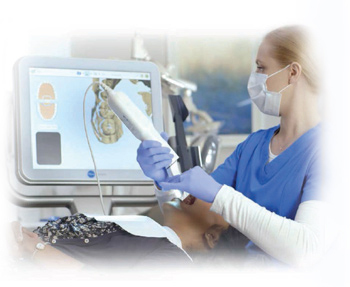 The iTero digital image system scans an impression of your teeth without any contact and without going anywhere near the back of your throat. Consequently it is excellent for taking dental impressions on people with a sensitive gag reflex. The primary reason other sensitive gag reflex is physiological, however there are also psychological factors such as increased anxiety, panic of feeling that your ability to swallow or breath is threatened. Typically conventional dental impressions played to all of these psychological fears. 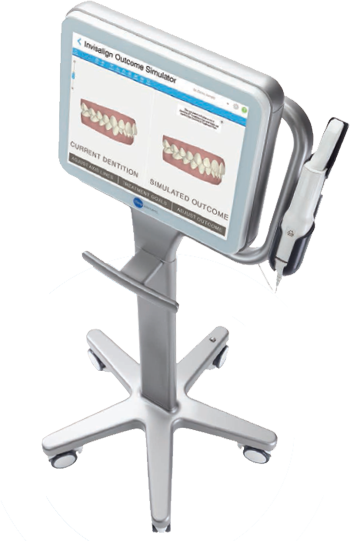 The iTero digital impression scanner means that the overall anxiety and feelings of not being able to swallow or breath are dramatically reduced, this can then help with these additional psychological causes of gag reflex. The biggest fear the most people have is a fear of choking with the impression material in their mouth. The simplest solution to this is to visit a dentist uses the latest dental technology and digital impressions. Digital impressions have nothing on which you can choke, they simply use a small camera to scan your teeth, even allowing you to take a break during the scan.